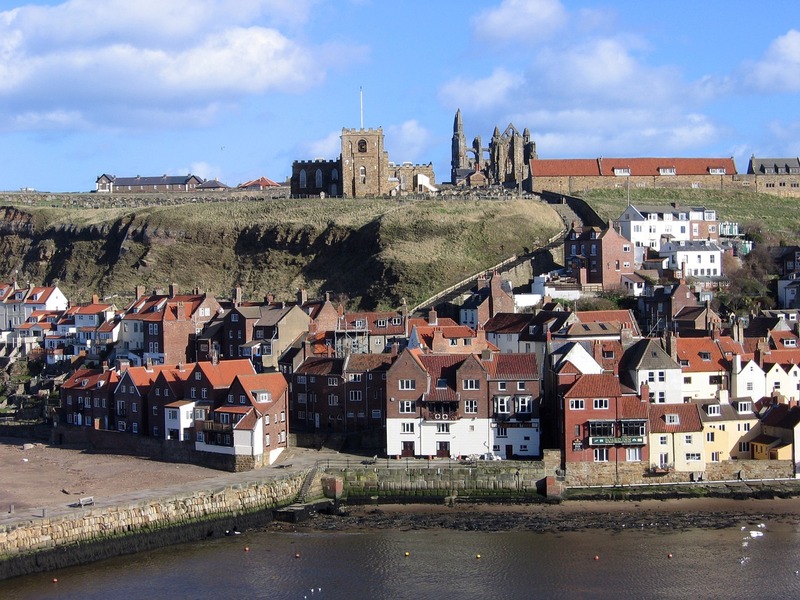 Whitby is an ancient sea port on the Yorkshire Coast. It is rich in history, which includes fishing, and the jet industry. Today it’s still the best place in the world to find the gleaming black stone. 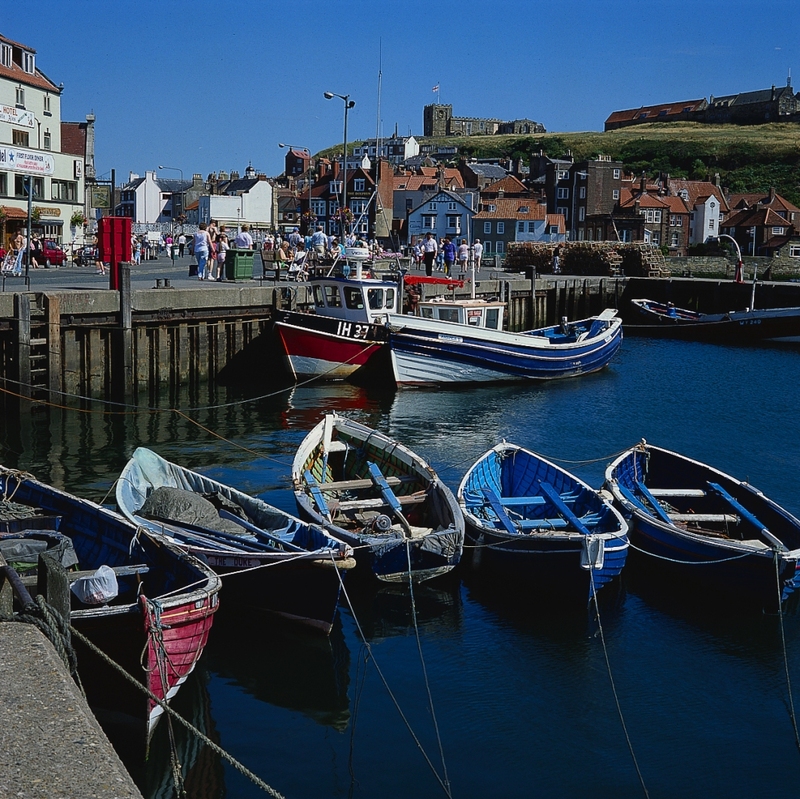 In addition, Captain Cook was born nearby, and his famous ship the Endeavour was Whitby-built. The town was also an important whaling town. And there are the literary connections. Bram Stoker’s famous Dracula features the town. Here the vampire first lands in the shape of a black dog, having travelled from Transylvania. His writing inspired the world famous Goth Festival, which now takes place twice a year, in the spring and Autumn. James Cook lodged in Grape Lane, on the Whitby harbourside as a young man, and his lodging house is now the museum. The attic which was Cook’s dormitory is now full of exhibits. The Hon. Sir Gervase Becket, M.P. presented the statue to the town in 1912, and it stands on West Cliff. 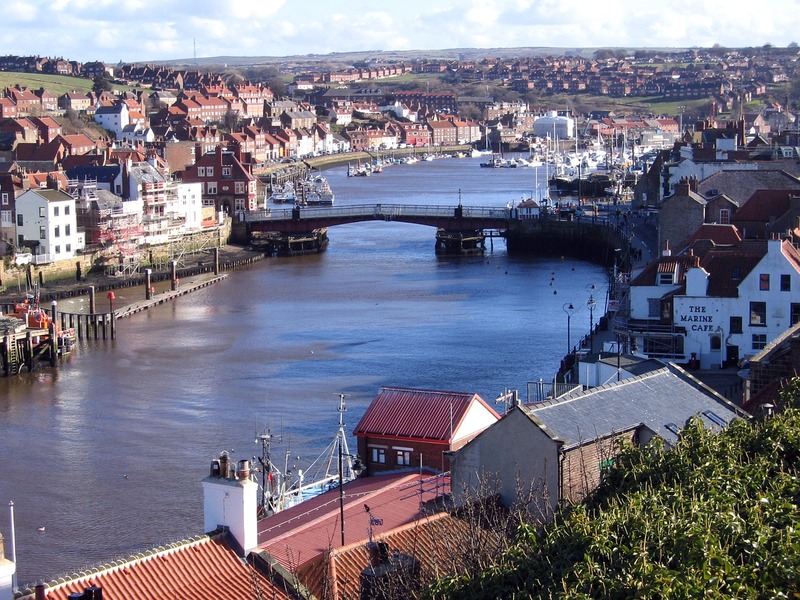 Captain Cook learnt his seafaring in Whitby colliers, and he relied on Whitby ships throughout his career. He died in Tahiti in 1779. The church dates from 1110 when it replaced the previous wooden Saxon church. They added the tower in 1170. The pulpit has three decks and a candelabra. The huge ear trumpets assisted the hearing of the rector’s wife in the early C19th. There are 199 steps leading to the church. The climb is relieved by resting places which were originally for pall bearers. In the church yard there is a monument to Caedmon, the father of English sacred verse, who spoke Caedmon’s hymn. Someone else wrote the words down in English, in the C7th. In the graveyard are many seafarers’ graves; including the 5 of 6 crew of the Whitby Lifeboat lost in 1861. St Hilda founded the first Abbey in 657. 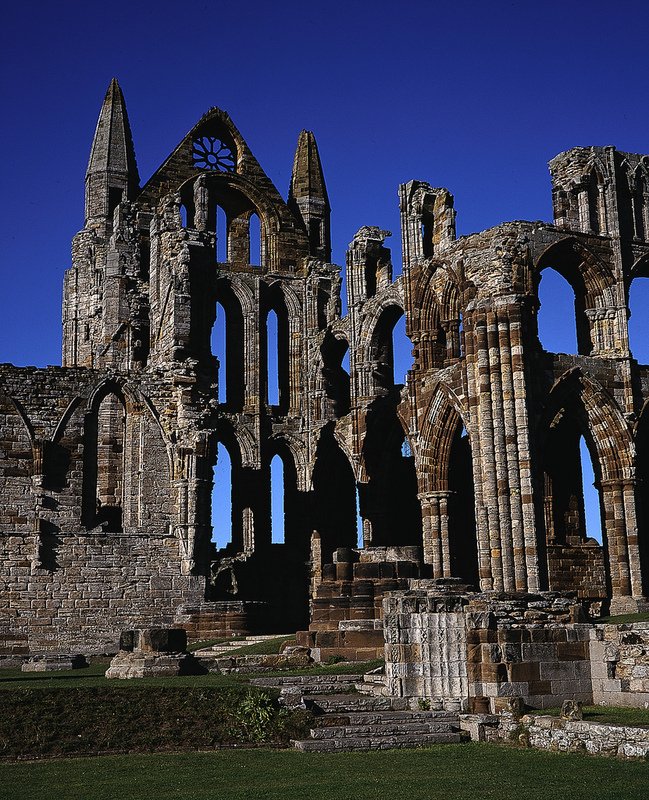 In 664, the Synod of Whitby, held at the Abbey, determined the supremacy of Roman over Celtic rites in England. The Synod also fixed the system for deciding the date of Easter. The Danes sacked the Abbey in 867 and it remained in ruins for 200 years. In the C11th a Norman Knight, Reinfrid, built a monastery beside the old Abbey. It prospered and the present Abbey replaced it in the C13th. Since the Dissolution it has fallen into ruins, and what remains of it stands like a lookout on top of the hill. Next PostThe village of Milford-on-Sea in Hampshire has the air of being pleasantly caught in a time warp.